The Bachelor is back. Today, ABC announced the premiere date for season 21 of the reality series. 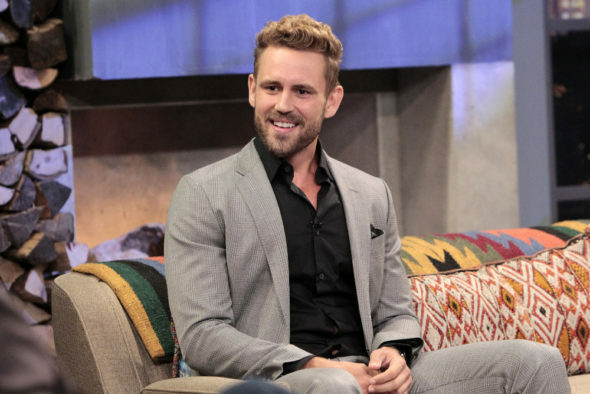 The new season will center on fan-favorite bachelor Nick Viall, who has previously appeared on Bachelor in Paradise and The Bachelorette. Season 21 of The Bachelor is slated to debut on January 2nd, 2017. When Bachelorette Andi Dorfman said goodbye to Nick Viall just as he was preparing to pick out a ring for her, he was devastated. When Nick walked up to Kaitlyn Bristowe with an engagement ring in his pocket, only to be sent home, he was crushed. How could one man endure so much heartbreak? If you believe that “what doesn’t kill you makes you stronger,” Nick Viall, 35, a technology salesman from Milwaukee, Wisconsin, is back stronger than ever, ready and eager to begin his search for true love on the 21st season of ABC’s hit romance reality series “The Bachelor,” premiering on MONDAY, JANUARY 2 (8:00-10:01 p.m. EST), on the ABC Television Network. During its landmark 20th season, ABC’s “The Bachelor” ranked as the No. 1 TV show on Monday night among Adults 18-34 and Women 18-34, beating out the competition, including NBC’s “The Voice.” In fact for the entire 2015-16 season, the veteran ABC unscripted show finished among TV’s Top 5 broadcast entertainment series with Adults 18-34. “The Bachelor” was up year to year in Adults 18-34 to a 3-year high and among Teens 12-17 to a 5-year high. him a fan favorite, with women and men across the country rooting for him to become the Bachelor and continue on his quest to find love. What do you think? Are you a fan of The Bachelor? Are you excited for the new season?